Once again, the benefits of having Coast Guard assets forward deployed were realized when a crewmember aboard the F/V Island Enterprise was found unconscious in the freezer compartment of the vessel last week. Watchstanders at the 17th Coast Guard District command center were contacted on February 16th at approximately 5:30 p.m. by Health Force Partners. The agency is contracted by many vessel owners to provide injury and illness treatment as well as occupational assessments. Watchstanders in turn contacted the Coast Guard duty flight surgeon, who recommended the medevac for the unconscious worker. 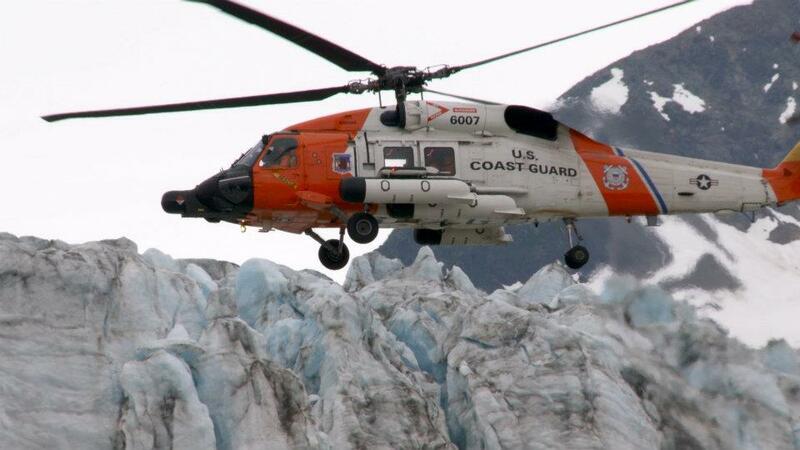 A Coast Guard MH-60 Jayhawk helicopter crew hoisted the 57-year-old man from the vessel then transported him to Cold Bay, then on to Anchorage for emergency medical treatment. This was the sixth reported Coast Guard medevac rescue for the winter fishing season. Island Enterprise is a 312-foot catcher/processor vessel which is part of the Trident Seafoods fleet. At the time of the incident, winds were at 16-mph with 8-foot seas, and visibility of 11.5 miles.